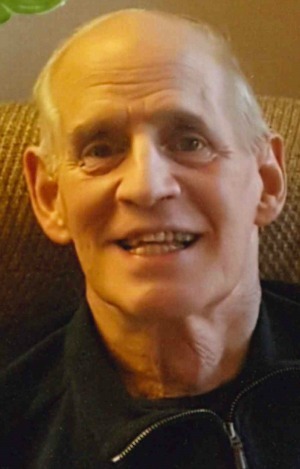 Jere Myer Lyons, 79, of Lancaster, PA, died on Wednesday, May 16, 2018 at Landis Homes. He was the husband of Janet B. Lyons and the son of the late Max Myer and Vera Kurtz Lyons. He was a graduate of Manheim Township High School class of 1957, Lancaster Business College, and also served in the United States Marine Corps. Upon graduation from Lancaster Business College, he was employed by Henry E. Martin and Sons, Inc. for 42 years, where he retired in 2003. He was a member of Grandview Heights United Methodist Church since 1955. He is survived by three sons; Jeffrey B. Lyons, husband of Julie Hess Lyons, Jere K. Lyons and Jason C. Lyons, daughter-in-law; Stephanie Paul Lyons; five grandchildren; Jeffrey H. Lyons, Jessica A. Lyons, Justine Y. Lyons, Mason P. Lyons, and Peyton J. Lyons; and a great-granddaughter; Andrea Pomata. He was preceded in death by a brother, James K. Lyons. Service and interment will be private and at the convenience of the family. In lieu of flowers, memorial remembrances may be made to the Multiple Sclerosis Society, 2000 Linglestown Road #201, Harrisburg, PA 17110. Your family has been in my prayers this week…i am living in Florida permanently…would love to reconnect when it is appropriate…will continue to pray as you come to my mind…love you. Our sincere condolences to the Lyons family in this time of sadness. We share good memories of our former neighbor, Jere on Zarker Road. I will truly miss Jere he was a wonderful boss when I worked for him at Henry Martins. May your family take comfort in knowing god has received a wonderful angel in heaven. Janet, You are in our thoughts. Jere sure knew how to make people smile! I am so sorry to hear of the passing of your dear husband. I have been upholding you, Julie and Jess in prayer this week. Although it had been a long time since I have seen you, I still consider you a friend, and I am sorry for your loss. I am deeply sorry for your family’s loss of Jere. May the “God of all comfort” embrace you and bring to your minds joyful memories. I wish the very best for your family at this time, take care. Kelly and I want to say how sorry we are for your loss of your husband, father, and grandfather. Although you don’t know us on a personal level, we live just around the corner. I was also Jason’s co-op teacher and coach football with him. I am sure that Jere helped shape Jason into the person he is today. I am so glad that my kids were taught by him. We hope the memories you have help in this time of sorrow brings you comfort. Mrs. Lyons. So sorry to hear about jere was walking in the cemetery and saw his grave. Today. I hadn’t heard about him. Found this today and I wanted to let you know i was thinking of you. Carl and I are so sorry to find out about Jere’s passing. We had hoped to visit him (and you, Janet) today at LH. Our sympathy to you all…we are thinking of our fun times together years ago and keeping in touch thru the years.